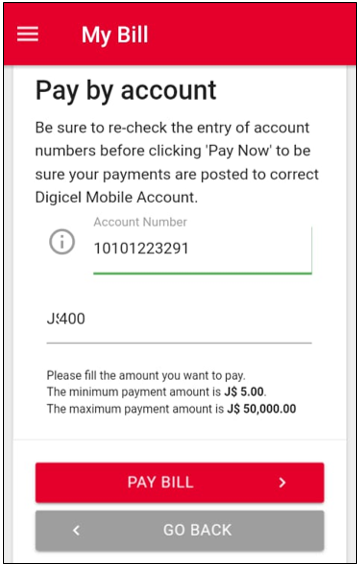 How can I pay someone else’s bill using the My Digicel App? 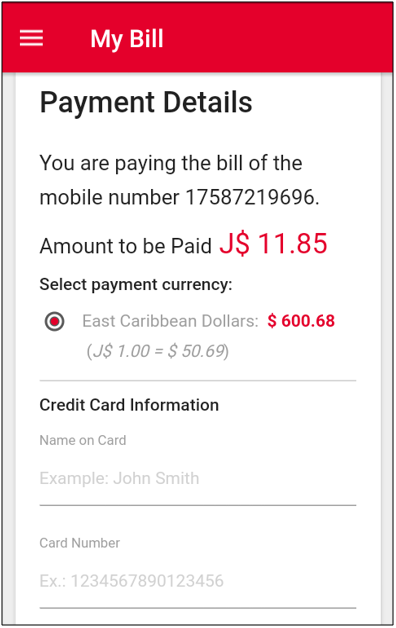 The most convenient way to pay a bill is through the My Digicel App. Step 1. 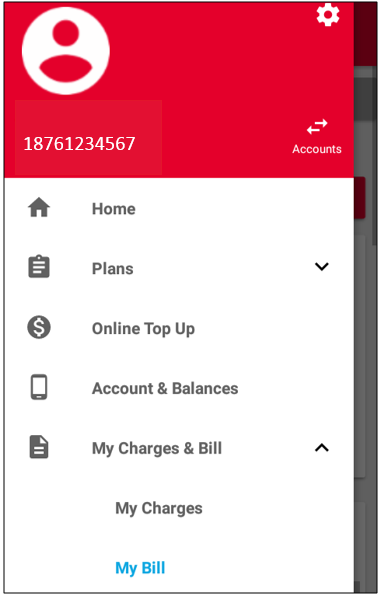 After logging into the My Digicel App, select “My Bill” from the menu option. Step 3. Enter the account number associated with the mobile number of the person you are paying the bill for. You are also required to enter the amount being paid. 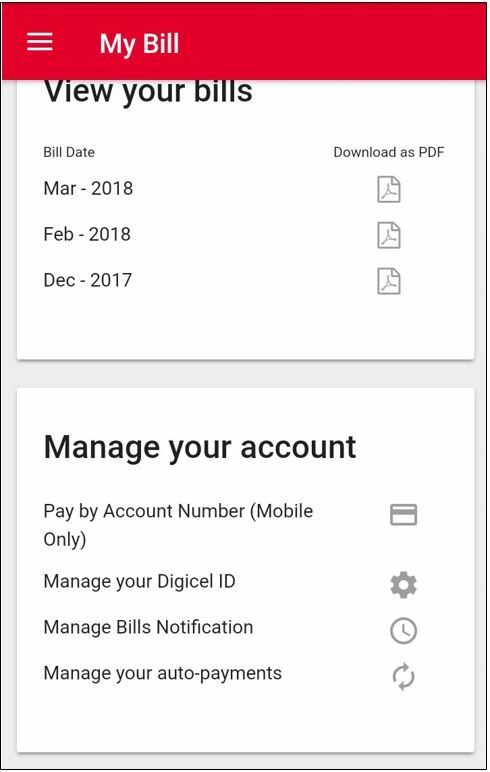 Select “Pay Bill” after you have done so. Step 4. Check the currency in which you wish to make payment. Proceed by entering your Credit Card details. You wish to save your Credit Card for future usage. You have confirmed the amount that is being paid. 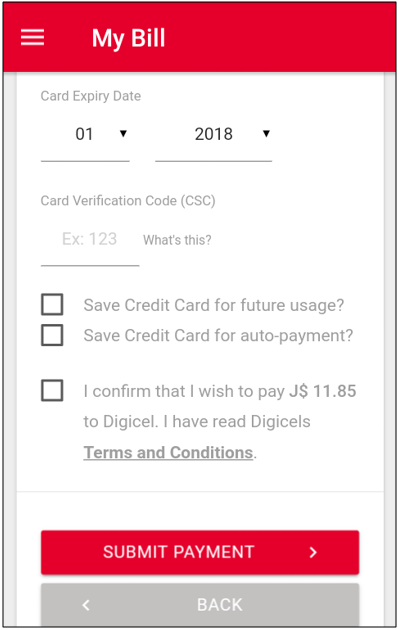 You have read and agreed to Digicel’s Terms and Conditions. Select “Submit Payment”. You will then receive a message confirming that the bill has been paid.